I, being the applicant named on this application for membership, desire to become a Member of Happy Hub Kampot incorporated (a not for profit charity) (incorporated in Queensland) and hereby agree, if admitted to membership, to be bound by the Rules and Articles of the Association of Happy Hub Kampot Inc, for the time being in force and hereby authorise my name to be placed in the register of members. Your membership details will be issued once your membership has been approved by the executive committee. Please note this may take up to 30 days. ​Privacy Disclaimer - the collection of these details is primarily so that we can register you as a member of Happy Hub Kampot Inc. 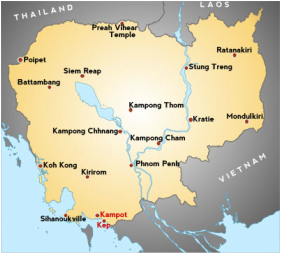 This information will be stored in the Happy Hub Kampot Inc database and may be used for future marketing of Happy Hub Kampot events, if you do not wish for your details to be made available, please tick this box. ​If you do not tick the box, then Happy Hub Kampot will consider that the individual completing this form consents to their personal details being used in the manner indicated.